Judges of the prestigious Wildlife Photographer of the Year have disqualified a winning contestant after the anteater in his prize-winning photograph was judged “highly likely” to be a taxidermy specimen. Called “The Night Raider,” the image was taken by photographer Marcio Cabral and depicts an anteater underneath starry skies next to a termite mound dotted with glowing bioluminescence. A team of five scientists all judged the work to be a fake, a conclusion Cabral strongly denies. The Wildlife Photographer of the Year competition is run by the Natural History Museum in London, and Cabral’s photo won the category for Animals in their Environment in 2017. The NHM started an investigation into the photo after it was contacted in March by anonymous sources who questioned the authenticity of the image. 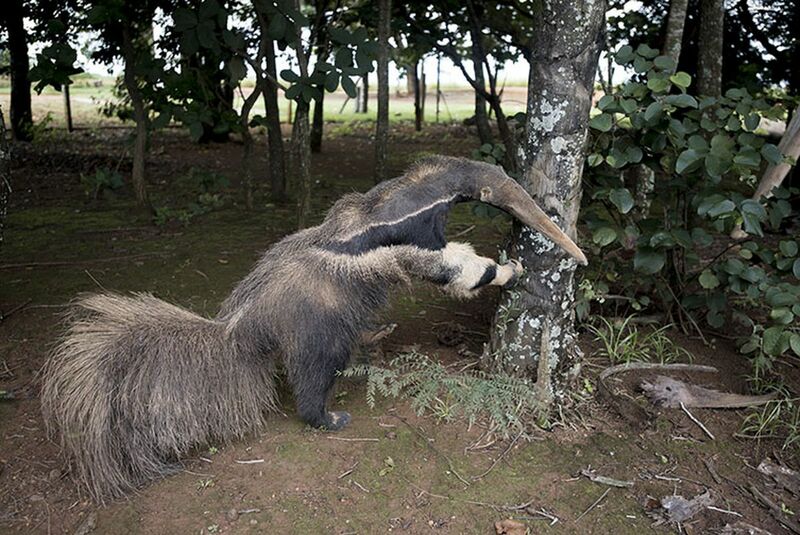 The NHM said it was given evidence including high resolution photos of a taxidermy anteater at Portão do Bandeira gate, one of the entrances of Emas National Park in Brazil where the winning photo was taken. The NHM said Cabral had fully cooperated with the investigation and supplied RAW file images taken before and after the winning shot, but none included the anteater. Cabral also provided a witness who said he saw the live anteater and also gave the NHM an explanation about why he had no other images of the anteater. According to The Guardian, Cabral’s original caption for the photo claimed he spent days frustrated by rain at Emas National Park, before a “giant anteater ambled out of the darkness,” staying “just long enough” to be captured in one single long-exposure shot. Cabral is no longer considered a category winner of the competition, and the photograph has been removed from the NHM’s exhibition, website, and world tour. The NHM said Cabral will not be able to enter the competition again. Previous articleNawab Shah Is Setting A World Record; Reason Is not That Good?